This one will be a bit controversial, as for many this was an odd entry into the once illustrious JRPG series. But, in my opinion, this was the best of the post-PSX era, and in this column, what I say goes. All levity aside, ever since Sakaguchi’s swan song for the series, Final Fantasy IX (both his favorite and mine), Square Enix has had a lot of difficulty pleasing the fans. Final Fantasy X was met with a good reception upon release, but over time fans have become more and more critical of it (and rightly so). The series’ MMO adventures alienated many, though it definitely has an audience, and we needn’t discuss the disastrous XIII trilogy. All too often, it is forgotten that XII was not just a decent game, it was a really good one. Part of that may have been because it drew on classic material for inspiration. The game took place in the world of Ivalice, which core fans will easily recognize as the setting from the beloved Final Fantasy Tactics. A world embroiled in political turmoil and warring empires, with backstabbing and plotting galore, it was a background far more interesting than what we had become accustomed to in mainline entries. The grounded plot is definitely one of the highlights of the game. While Tactics director Yasumi Matsuno had to bow out early in development, there was still proven talent behind this game in the form of Hiroyuki Ito, who directed IX. That Final Fantasy XII also made so many changes to the formula, and was largely successful with them, is a testament to the games quality. Random encounters were gone. Instead, foes roamed the field, and the player could choose to engage in battles very reminiscent of MMO combat. The active time battle gauge was still used, but the player could assign “gambits” to their companions (or even themselves). These gambits acted as sets of AI parameters, dictating how your party reacted to certain situations. This way, should the player choose, their entire party could engage in automated battle. Or, they could be turned off and completely ignored. Of course, the best way to play was a mixture of automation, to take care of simple issues like healing, so that the player could focus more on their overall strategy. Finally, it should be mentioned that Final Fantasy XII is a gorgeous game, both visually and audibly. Perhaps the PS2 era rendering doesn’t look as good as it once did, but the design of the environment and the characters is some of the best in the series. The exquisite armor of the Archadian Judges is iconic, and similarly striking designs litter the game’s landscape. 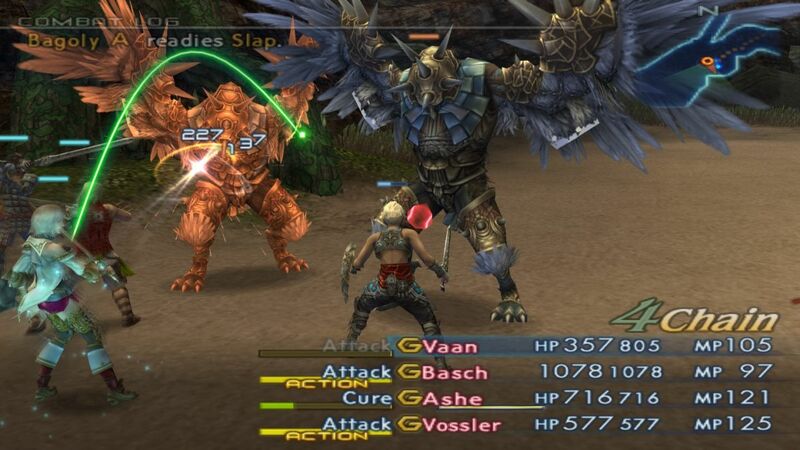 Final Fantasy XII also featured what was, in my opinion, the best voice acting in the series. Period. No whiny Tidus. No melodramatic Lightning. Well, Vaan can be a bit whiny…but at least he still sounds like a person that could actually exist in the real world. Square Enix has been doing a good job recently (minus their smart phone ports) trying to get their entire catalog on modern systems. We’re actually going to see Final Fantasy IX on PC, and hopefully consoles soon after. Please Sony, help us get Final Fantasy XII up there.